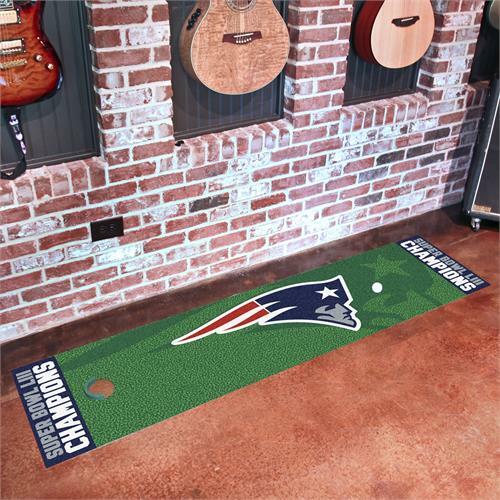 Celebrate the New England Patriots Super Bowl LIII Championship PLUS become a pro and perfect your short game with Golf Putting Mats from Sports Licensing Solutions, the maker of Fanmats! Realistic surface makes you feel like your actually on the green! 11* on golf Stimpmeter. Vinyl backing keeps mat in place. Backstop/target barrier included. Made in the USA.